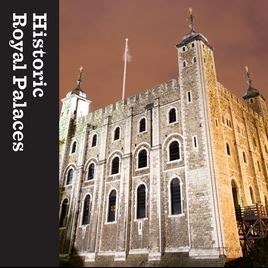 This programme was produced by the Tower of London Education Series in conjunction with the Royal Armouries. It tells the story of German spy Josef Jakobs in miniature. In condensing the story of Jakobs into the span of less than four minutes, various inaccuracies and simplifications have crept in. According to the program, Jakobs told the farmers who found him that his name was James Rymer. In fact, Jakobs did not give his name to the farmers and only revealed his real name, Josef Jakobs, to police officers at Ramsey Police Station. His false identity card gave the name of James Rymer, but Jakobs never claimed that name. The programme skips directly from Josef's discovery in the farmer's field to his court martial at the Duke of York Headquarters in Chelsea. The programme thereby implies that Jakobs only fully revealed his identity at the court-martial. In fact, Jakobs had been in the custody of MI5 at its secret interrogation centre, Camp 020 at Ham Common since mid-April. At no point did Jakobs claim to be a German Intelligence Officer. At his court-martial, Jakobs was found guilty and, according to the programme, was transferred from Brixton Jail to the Tower of London on 14 August, 1941, the day before his execution. He was apparently held in the east turret of the Waterloo Block. This is an old and erroneous story that has circulated about Jakobs for many years. Jakobs was only held at Brixton Prison Infirmary in early February (for two nights) and in late March and early April, while he recovered from his broken ankle. From early February to late March, he was held at Dulwich Hospital. In late July 1941, Jakobs was transferred from Camp 020 to Wandsworth Prison, where he was held until the early morning hours of 15 August, 1941. The Governor of Wandsworth Prison and one of the Military Policeman who guarded Jakobs, left eye-witness testify to this. Jakobs was never held in the Waterloo Barracks at the Tower of London. Finally, the title of the podcast spells Jakobs' name incorrectly. Given the recent production date of this programme (2013), it is unfortunate that it relies on out-of-date information and propagates some of the errors that continue to muddy the Jakobs story.